Closing date for online entries is 18th January 2013 at 5pm. If you are spared from something at the last moment you are said to be “saved by the…” What? 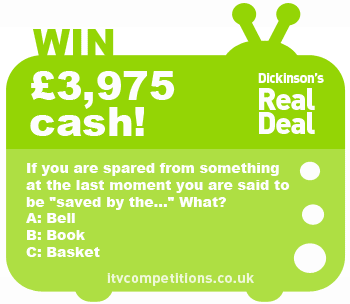 Enter the Real Deal competition 3 times per phone number completely free using the itv competitions online entry form.